The first few days and months of motherhood are fraught with anxiety. Babies are so tiny and helpless that it is normal to worry about their well being. And you do have a cause for worry. Newborn baby problems cannot be ignored as babies are so delicate. Infants and babies have immune systems that are still developing. So, even minor illnesses can lead to serious complications. That is why it is important to understand all that can go wrong with your little one in her early days. Most newborns have protruding bellies. But if your baby’s belly feels hard and swollen in between feeds, do some sleuthing. Nine times out of 10, it will be just gas or constipation, but sometimes a swollen belly can indicate a serious underlying condition (1). A difficult labor can leave your newborn with some birth injuries. Most newborn recover pretty quickly from these injuries, so don’t stress about it. Some of the common birth injuries, your infant may suffer from include a broken collarbone, muscle weakness, forceps marks, etc. (2). Baby skin problems include bluish skin.It is pretty normal for babies to have blue hands and feet, but this may not be a cause of concern. In some cases, newborns can also develop blueness around their mouth and tongue while crying. But the blueness goes away with time. But if your baby does not get her pink skin back, you need to consult your doctor immediately. It is normal for a baby to cough when she is feeding as sometimes the milk can come in too fast. But if your baby has a cough that refuses to go away or if she often gags during feeding see a doctor. It may indicate a problem with the lungs or the digestive system. If your little one is coughing incessantly, especially at night, you’ll also need to rule out whooping cough (3). Jaundice is a common problem among newborns. Many infants have high bilirubin levels at birth as their livers are still immature. Most cases of jaundice in newborn resolve with time. But it can also cause serious problems. So, let your doctor prescribe a treatment to cure jaundice. An earlier theory that neonatal jaundice causes brain damage proved to be a false alarm (4). It takes a newborn a few hours to breath normally. But once her body learns to breath, she should have no more difficulties. Breathing problems in babies happen due to many issues.If you notice your baby is having difficulty in breathing, check her nasal passage. In most cases, difficulty in breathing occurs due to a blockage in the nasal passages. You can treat this problem with the use of saline drops. If you had a preterm labor, your baby is at a higher risk of developing respiratory distress (5). Vomiting is a common health problem among infants. It is normal for infants to spit up milk after feeds. But frequent vomiting is not normal. To prevent frequent vomiting and spit ups, make sure your baby is not lactose intolerant or allergic to breast milk. You also need to burp your baby frequently to prevent her from throwing up her entire meal. If your child is vomiting and not gaining adequate weight, she might need medical intervention. Also, watch out for the color. If your baby’s vomit looks green, talk to your doctor about possible infections and treatment options (6).Digestive issues could also lead to vomiting. A fever is not the problem. A fever is just an indicator that your baby’s body is fighting off an infection. Mild fevers don’t even need medical intervention. But if your little one is running a high fever, let your doctor have a look at her. High fever (102 F) can be a cause of serious worry and lead to seizures (7). Is your little one crying without break, and you can’t figure out why? You can blame it on colic! 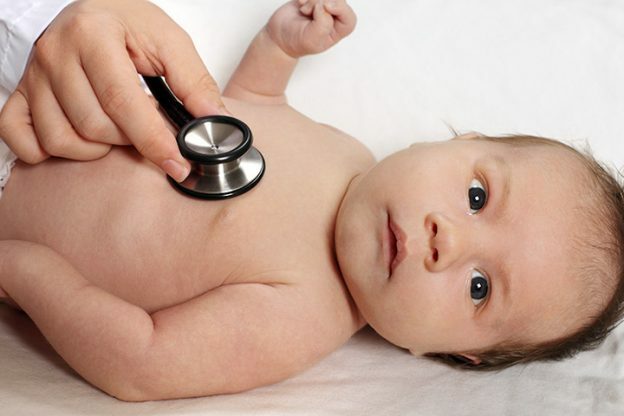 Colicky babies are otherwise healthy and show no other signs of discomfort. Do check if your baby is allergic to the formula you are using as that too can cause colic in babies (8). Thankfully, most cases of colic resolve by the time your baby reaches three months of age. Be regular when it comes to changing your baby’s diaper. Use a diaper rash cream in case your baby does develop a rash. If you are using a cloth diaper, use fragrance and dye free detergents. To wash her hair every day. Some infections are common among infants and babies. Viral infections like cold and flu are normally harmless and go away without playing much havoc with your baby’s health. But for infants, a simple cold can turn into pneumonia, a very serious medical condition (11). So, it is important to see your doctor, even if your baby has a harmless cold. Ear infections are also extremely common among little ones. If your infant or baby is tugging at her ear and is fussier than usual, she may have an ear infection (12). Viral infections go away once they run their course, but bacterial infections may need a dose of antibiotics. Oral thrush is another infection that may attack your tiny tot. When yeast takes over your baby’s mouth, she’ll be diagnosed with oral thrush. Talk to your pediatrician and see if your little one needs a prescription of antifungal medication (13). Diarrhea is also common among infants and babies. As long as you keep your baby hydrated (14), you need not worry about diarrhea. Is your baby straining while passing stool? She may be suffering from constipation! 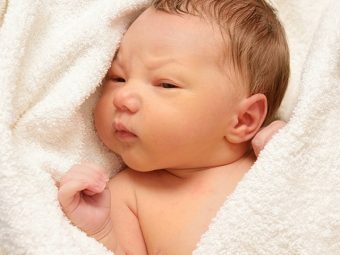 Common among babies (15), constipation is not a big health issue unless it is causing your little one acute discomfort. The list of health issues that can affect an infant can be endless.There could be kidney problems in babies and eye problems in infants.But this list contains all the common problems you may encounter. Don’t worry. Your little one will outgrow this vulnerable phase before you even realize it. Take a deep breath and enjoy the miracle that is your baby. Time flies away way too quickly. Don’t waste it worrying! How do you deal with common health issues with your baby? Share your tips with us. 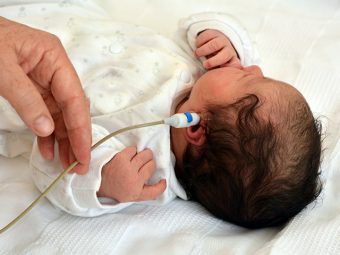 How To Monitor Infant Vision Development?